Many people opt for low cost gastric bypass surgery in Mexico, because the country abounds in state-of-the-art hospitals providing surgeries at a fraction of the American costs. In a gastric bypass surgery, a surgeon divides the stomach into two connected parts—a small upper pouch and a larger, lower pouch. After the gastric bypass surgery, the patient automatically reduces food intake as he or she starts feeling full earlier. This leads to a dramatic weight loss over a period of six months to two years. Gastric bypass surgery also significantly reduces morbid obesity related illnesses, such as hypertension and heart disease, and related deaths by up to 40%.As per a study by Ted D. Adams and colleagues published in the September 19, 2012 edition of the Journal of the American Medical Association, gastric bypass surgery “was associated with higher rates of diabetes remission and lower risk of cardiovascular and other health outcomes over 6 years”. Although the advantages of gastric bypass surgery are well documented, many severely obese people are discouraged by the high cost of the surgery. The average cost of the surgery is around $25,000 in USA. Insurance companies in the USA pay for the surgery only if the patient has a BMI of over 40 and can prove that he or she has made other serious non-surgical efforts to control weight. When this is not always possible, many patients opt for low cost gastric bypass surgery in Mexico. The cost of gastric bypass surgery in Mexico is almost 50 to 70% lower. Low cost gastric bypass surgery in Mexico can be availed for about US $12,000. The low price of gastric bypass surgery in Mexico does not mean that the quality of the surgery suffers in any way. Mexico has some great international standard hospitals, such as the Hospital Angeles in Tijuana. In addition, Mexico boasts of some of the most experienced and renowned gastric bypass surgeons. For instance, Dr. Lopez Corvala is an experienced surgeon who has been performing bariatric surgery in Mexico for more than a decade. 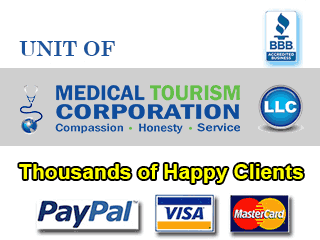 How to Go About Low Cost R-en-Y Gastric Bypass in Mexico? It is important to be careful when looking for a low cost gastric bypass surgery in Mexico. Avoid settling for the cheapest offers you get for gastric bypass surgery in Mexico. A very low price indicates that the hospital or clinic does not have much business and may not do a quality job. Chances are that a $10,000 clinic will have an incompetent or inexperienced surgeon and obsolete equipment. When looking for low cost gastric bypass surgery in Mexico, be sure to choose a fully integrated hospital rather than a surgery center. In case of an unexpected medical emergency or surgical complication, a hospital is a better option than a stand alone surgery center. Try to find a hospital for that has boarding arrangements for an accompanying guest. You should also verify the reputation and past record of the hospital providing the option for low cost gastric bypass surgery in Mexico. In addition, when looking for an option for low cost gastric bypass surgery in Mexico, you should check the experience and credentials of the surgeon. Preferably, the surgeon should have performed over 100 surgeries. You should also check the medical certification of the surgeon. It is also important that the surgeon and the staff performing the gastric bypass surgery in Mexico have a working knowledge of English. This way, you can have clear communication with each other, without any possibility of misunderstanding. Low cost Gastric Bypass surgery in Mexico is the go-to procedure for those looking to say goodbye to unwieldy flab without busting their bank accounts. Medical-Trip facilitates low-cost gastric bypass surgery in Mexico. For more information, fill the estimate-request form on the right.